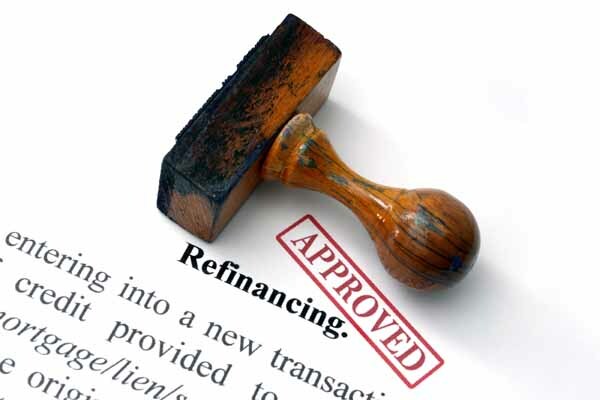 Lake Minnetonka Mortgage Refinancing: Are You Missing Out? The Lake Minnetonka mortgage refinancing market has enjoyed months of near-record low interest rates. The rates have stayed so low for so long that many borrowers assumed home mortgage interest rates will be low “forever.” And for good reason. At the first sign of rising interest rates – regardless of how slight the expected increase – the global money markets seemed to force them downward again. Even the rumblings of a Federal Reserve increase in fed funds rates did little to change the feelings of some borrowers who watched mortgage rates remain low throughout the peak home buying months. The majority of borrowers refinanced in the past year or so while interest rates were low. Surprisingly, however, more than 10% of borrowers throughout the nation have yet to refinance. Of the ones who haven’t refinanced their mortgages, most have home loans with rates at 5% or higher. The average rate of those borrowers in the Lake Minnetonka mortgage refinancing arena who have actually refinanced is roughly 3.5%. For technicality’s sake, experts say almost 25% of borrowers have mortgages with rates higher than 5%, but many of those homeowners cannot refinance their loans. According to CoreLogic here are the reasons why they haven’t – or are unable to – refinance to save money. For one thing, roughly half of the existing mortgages with higher rates that haven’t been refinanced are delinquent or have experienced a delinquency during the loan period. Because of that, most lenders consider the risk of granting them a new mortgage – even at a lower interest rate – too high. In addition, existing mortgages held as part of private-label securities portfolios are generally more difficult to refinance than government-backed loans. As a result of the changes made in the aftermath of the housing crash of nearly a decade ago, the U.S. government offered refinance programs designed to be more streamlined. Those programs included a large number of borrowers who were underwater at the time – borrowers who owed more on their homes than they were worth. Again, to be technical the resulting share of borrowers not taking advantage of the interest savings is roughly 13%. Why haven’t that 13% refinanced when they could have? Let’s take a quick look. The reluctance of the rest of the 13% of borrowers that haven’t refinanced is likely due to the remaining balance on their higher-rate mortgages. A CoreLogic spokesperson speculated that “small balances may not be worth refinancing… the savings would be too low.” And the speculation is probably spot on. Consider this: CoreLogic found that borrowers eligible to refinance with old rates above 7% have an average remaining mortgage balance of only $53,000. Borrowers with rates between 5%-7% had roughly $100,000 remaining on their principal balance. With the closing costs involved in a refinance – even with an existing lender – the question those borrowers need to ask themselves is, “Would refinancing a relatively low balance save me any money?” Closing costs for a refinance can often run 2%-3% of the loan amount, depending on whether points are involved. Let’s take a look and see if the savings are worth the effort. The quick answer is, it depends on the original mortgage amount. For example, a borrower with an original loan balance of $400,000 can reduce his monthly mortgage payment substantially since the original payment was much higher. If that borrower is refinancing a $100,000 remaining balance, the closing costs are going to be comparatively lower. Conversely, a borrower with an original loan amount of $150,000 who currently owes $75,000 won't enjoy a significant savings on the remaining amount of interest – especially after factoring in the closing costs. In addition, many borrowers simply don't like the idea of extending the term of their loan. A borrower who’s 12 years into an original 15-year mortgage may just want to pay it off as planned instead of recasting the loan term to another 15-year term by refinancing. Your mortgage lender can provide you with the remaining balance on your existing mortgage at the original interest rate. In turn, using the original amortization schedule – updated to reflect any principal only payments – the lender can estimate the amount of interest you’ll pay over the remaining life of the loan. Naturally, the calculation is based on the assumption that you won’t pay off or otherwise alter the loan's principle balance. Then, using current interest rates, the lender will determine what a typical refinance will cost in terms of monthly payment versus your existing mortgage payment. The interest portion of the payment when amortized over the new term will give the lender the total amount of interest you’d pay if you refinanced – again, barring any future changes to the principal amount. By simply comparing those two amounts, the lender can determine the interest cost savings. However, that’s not the end of the analysis. As mentioned, the costs of closing the loan have to be figured into the equation to determine the net savings, if any. Closing costs, though not as high as on a new loan origination to purchase a home, can still be substantial. Though it may seem unnecessary, the lender is required to ensure the home's value is sufficient for the loan amount to be granted. Therefore, either a new appraisal (or, in some cases, an update to the existing appraisal) is required. In addition, you can expect to pay a loan origination fee and an updated title search fee. A new credit report and normal court recording costs will also be required. You may have to pay for an updated termite inspection and a home inspection. After all those costs are taken into consideration, then and only then can your Lake Minnetonka mortgage refinancing lender give you an estimate on the cost savings to refinance and an opinion as to whether it makes financial sense. From there, only you can make the decision. You can find more articles pertaining to Lake Minnetonka mortgage refinancing and the overall mortgage market in the Lake Minnetonka Mortgage Info section of our site below Lake Minnetonka Real Estate Categories in the column to your right. « Selling a Lake Minnetonka Home: Is Now a Good Time?